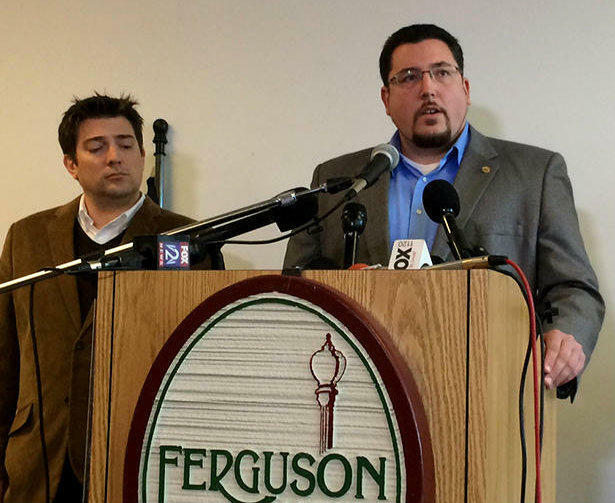 John Shaw, left, resigned on Tuesday as Ferguson's city manager. During the Ferguson City Council’s meeting on Tuesday night, the council passed a resolution unanimously accepting Shaw’s resignation. As city manager, Shaw oversaw all of Ferguson’s departments — including the embattled police department. He was widely seen as the most powerful city official in Ferguson, far more powerful than the mayor. The Department of Justice report singled out Shaw for driving the city’s police department to drum up more revenue from fines and court costs. That practice, according to the report, stirred up resentment and contention between city officials and Ferguson’s African-American community. He was also chastised for not doing enough to discipline employees who sent out racially charged e-mails. Shaw rarely talked to the press in the aftermath of Michael Brown’s death, acquiescing instead to Ferguson Mayor James Knowles III — who has relatively little power. But he alluded to criticism of his oversight of the police department in his statement. Ferguson Mayor James Knowles III, right, and Ferguson Councilman Dwayne James sit in on Tuesday's meeting of the Ferguson City Council. Knowles told reporters after Tuesday’s council meeting that the city would conduct a nationwide search for Shaw’s replacement. The assistant city manager, he said, would effectively run the city during the interim period. "It was a mutual separation. I think the city and John came to a mutual agreement that we want to be able to move forward as a community," Knowles said. "John put in eight years of service in this community and was very instrumental in a lot of the economic development that we’ve had here and a lot of the things we’ve done over last eight years." "And so, we appreciated his service. 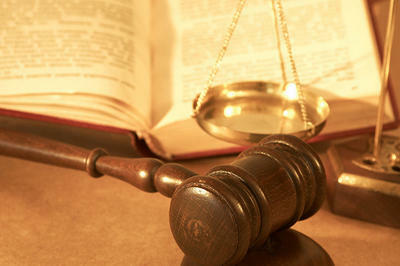 But he felt and the council agreed that it was time to move on," he added. During Tuesday's meeting, at least public speaker demanded that Knowles also step down from his post. Others wanted Ferguson Police Chief Tom Jackson to resign. But the mayor once again reiterated that he had no plans to step aside. "Somebody’s got to be here to take care of business," Knowles said. "I’m absolutely committed to making sure we continue to go through that report. As I’ve said before, we go through that report line-by-line and issue-by-issue. Find out where the breakdowns were and the patterns and practices. What safeguards need to be in place. What training needs to be in place. And who needs to be in place to make all of this happen." "Myself and these council members are committed to making sure that happens and absolutely I intend to stay," he added. Ferguson spokesman Jeff Small did not provide reporters with any details about Shaw’s severance package. Tuesday was the first time the council met since the Department of Justice release its report on Ferguson's police department and municipal courts. That report came out at the same time as another document explaining why the Justice Department wouldn't bring charges against former Ferguson Police officer Darren Wilson. The above audio features nearly a half-hour of the Ferguson City Council's public forum. Emotions were particularly high during the council's public forum section. Larry Miller told council members that those who protested Brown's death were "not anti-police." Larry Miller was one of many speakers who spoke during the council's public forum section. "We want the police to love us back," Miller said. "We actually know that this community has to heal. And the only way a community can heal is if you [treat it] like a wound. And what do you do with a wound? You clean it. You have to clean that wound so you can heal that wound. But if you leave any debris, any dirt or anything that will make an infection in that wound — it will also reinfect the wound." Marvis Davis agreed with Miller. He told council members "when you do something wrong and when you get caught, you try to get away from it." "People are quitting right now, because they know they were doing something wrong," Davis said. "You got to start from the top. I'm not saying [Knowles] needs to quit. This is on your watch. This is all happening on you and Jackson's watch. You need to clean house. This police department did some citizens that you represent wrong." But other speakers took a more combative stance against activists who have been critical of the Ferguson Police Department. Mike McGrath, a candidate for the Ferguson City Council, praised the council for what they've dealt with since Brown was shot and killed. "You've done an amazing job," McGrath said. "People have called you everything in the world. ... You people listen to the citizens, you get to hold everybody's hand. Chief Jackson and the police have done an outstanding job. You've taken an amazing amount of abuse for no reason. They've been very tolerant. They've been there to listen." Suzanne Schmidt told the crowd that "a lot of people in this room owe Darren Wilson an apology." That comment sparked a particularly angry reaction from some in crowd. "The bottom line is the truth did come out — and he's an innocent man," said Schmidt, who is white. Suzanne Schmidt speaks before the Ferguson City Council. For her part, Linda Lipka said during her public comments that "the loudest voices are not only voices." "Change is needed," she said. "It is absolutely needed. It's overdue for the residents who've been abused by the system. And it is overdue for the future goals that we want. But the opportunity to change has to be given that — the opportunity. We can't sit here and scream and yell and scream and yell and scream and yell when we're wasting the energies that we have to start making those changes together." Ferguson says it looks forward to working with the Missouri Court of Appeals judge who will hear its municipal court cases starting next week.